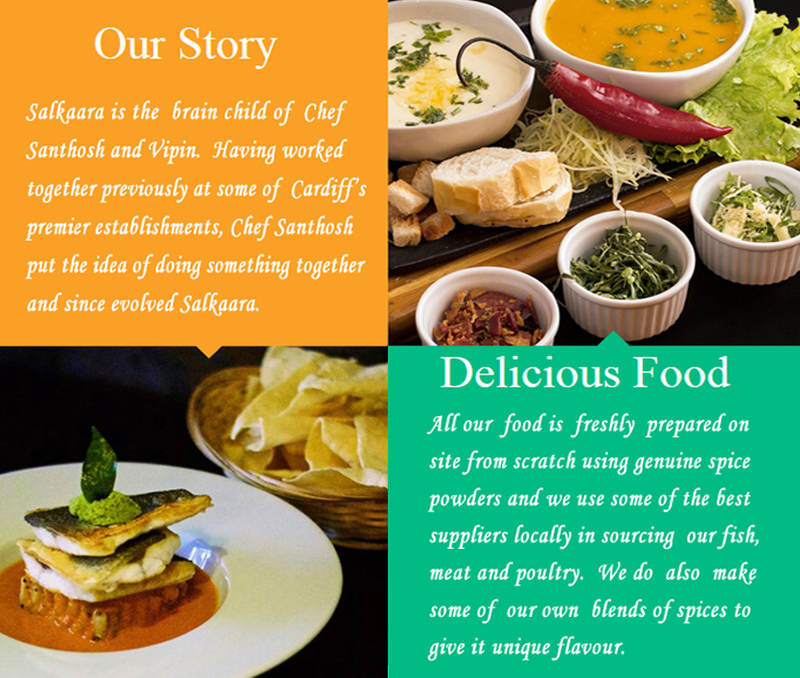 Thank you for visiting our website and Welcome to Salkaara! 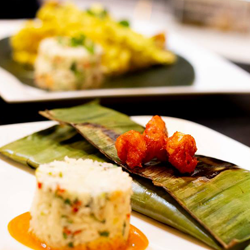 The word ‘Salkaara ‘ comes from the word Salkaram in Malayalam which means hosting a guests or a feast or even just a hearty welcome. 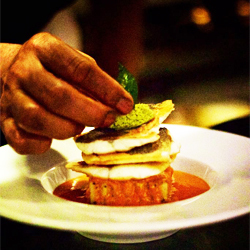 In line with its meaning , we at Salkaara have great pleasure in in serving each and every one of our guests. Ensemble ofstarters recommended by the Chef. Fresh squid roasted with ginger , onion, pepper and coriander. 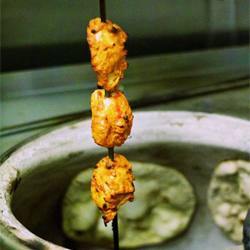 Chicken morsels infused in a marinade of Kashmiri red chillies and yoghurt;delicately spiced and grilled in the tandoor. Fritters of finely shredded spinach, onion and water chestnuts. 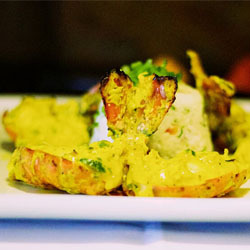 Grilled in the Tandoor, King Prawns scented with orange and rolled in special spices; served with sea food rice. 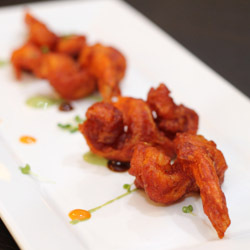 Tiger prawns simmered in a spicy coconut and raw mango gravy tempered withmustard, fenugreek seeds and curry leaves. A summer speciality found in different parts of Kerala in different forms based on the type of mangoes in that region. From the Portuguese 'vin d'alho' meaning 'wine and garlic'. 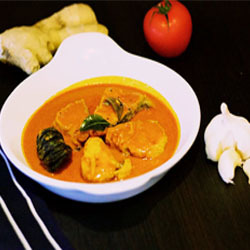 Our homage to Portugal’s influence on Indian cuisine, from Goa; pork cooked with home ground red chillies and spices, intensely flavoured with garlic and wine vinegar, reduced for a unique taste. 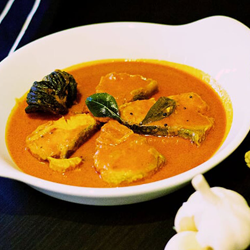 A North Indian speciality of tender chicken cooked in a delicious earthy sauce flavoured with fresh fenugreek leaves and a creamy Tomato masala base. A North Indian road side caravan preparation were the level of spices are generally high. 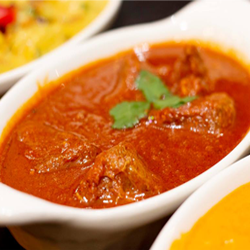 Chicken breast in a thick onion tomato masala and a melange of Indian spices. Aubergines cooked in a tangy spicy curry with tamarind ginger and chilli. The most popular lentil based vegetable curry found all over South India with a different flavour as you travel from state to state based on the special mix of spices and tamarind . Chef Nairs own preparation of Red Kidney Beans. Started off as staff food but after the comments from our guests , decided to offer this in the menu. 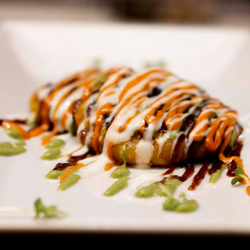 Indian stir fry of seasonal vegetables spiced with our chef’s blend of spices. Okra sau’teed with ginger , tomato and delicate touch of spices. 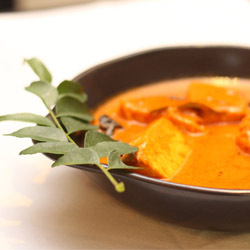 Traditional Kerala dish of seasonal vegetables stir-fried and tempered with mustard and curry leaves. Home made Delhi style lentils tempered with red chillies and garlic. 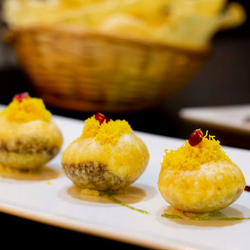 Classic Indian Milk dumpling flavoured with saffron and served with vanilla ice cream. Chicken breast in a thick onion tomato masala and a melange of Indian spices. This menu cannot be used in conjunction with any other offer and may also be removed anytime at the discretion of the management unless pre- booked. Chef's selection of desserts . We had Sunday lunch here and thoroughly enjoyed the experience. Way above your standard Indian! The food is so tasty and fresh the best Indian we have had in ages..such a great experience. This had only been open a few weeks but we are very glad it is open. Had take away curry and it was amazing.. 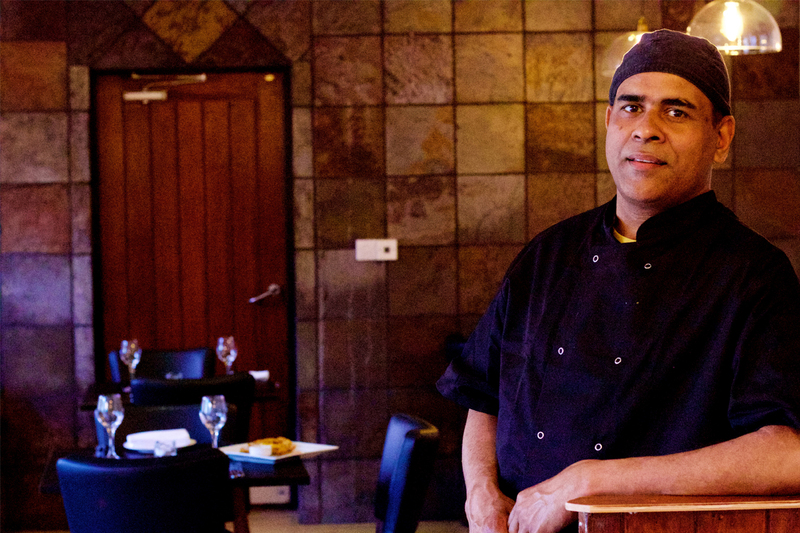 Since our opening in June last year, our custom has been growing and we know offer a comprehensive menu from a variety of dishes all over India. 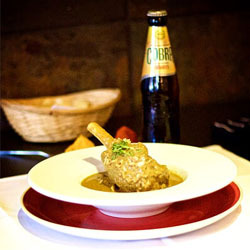 We have a selection of wines which have been chosen to completement our food along with a range of beers. We hope that you do have a great experience during your visit and any feedback is always welcome.